Walsall goalkeeper Joe Slinn, defender Dan Vann, and striker Cameron Peters are currently spending time away from Banks's Stadium in search of first-team football. Stopper Slinn is with Rushall Olympic, Vann has recently joined Matlcok Town, and Peters is enjoying a spell with Bromsgrove Sporting. Slinn, who joined the Saddlers on a free transfer from Port Vale over the summer, is expected to spend the whole campaign with the Pics, whilst Vann and Peters are out on short-term loans with the Gladiators and Rouslers respectively. 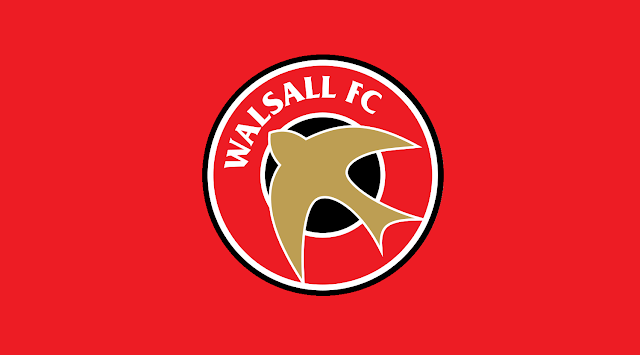 All three of Walsall's active loanees, which doesn't include Deadline Day departure Mitchel Candlin, were named in their respective team's starting line-ups as they continue their efforts to impress first-team manager, Dean Keates. Joe Slinn continued his spell between the sticks at Dales Lane with Liam McDonald's side facing Biggleswade Town in the Evo-Stik Southern Premier Division Central. Slinn, who has started every Pics game since joining the club in the summer, was unable to keep a clean sheet as his side were held to a two-all draw on Saturday afternoon. Goals from Danny Waldron & Gaz Singh were not enough to see safely through to Rushall to victory as Matt Ball and Tom Smith netted for Biggleswade to give each team a share of the spoils. Central defender Dan Vann, who joined Northern Premier League side Matlock on Deadline Day, was also named among the starters as he temporary side took on Workington AFC. The Gladiators, who were forced to make two injury-led substitutions before half-time, leaked two late goals to go down by three-goals-to-one on a disappointing Saturday afternoon outing. Goals from Jason Walker, (5'), Connor Tinnion, (82'), and Jason Walker, (85') were enough to make Michael Williams' fiftieth-minute equaliser a mere consolation as Vann, who played for the entire ninety minutes, begin his Matlock career with a defeat. Striker Cameron Peters, who had been named on the bench for Sporting's last couple of outings, was back in the starting line-up as they took on Aylesbury United in the Evo-Stik Southern Division One Central. Peters was in fine form on Saturday afternoon as he grabbed a well-deserved first-career hat-trick with goals coming on the 23rd, 28th, and 87th minute, helping his side to a comfortable five-one victory. Sporting also scored via Richard Gregory, (41'), and Craig Jones, (56') with Durrell Berry's sixty-third minute penalty a mere bump on the road to victory. More all-important match minutes for the Saddlers loanees, on to next weekend!